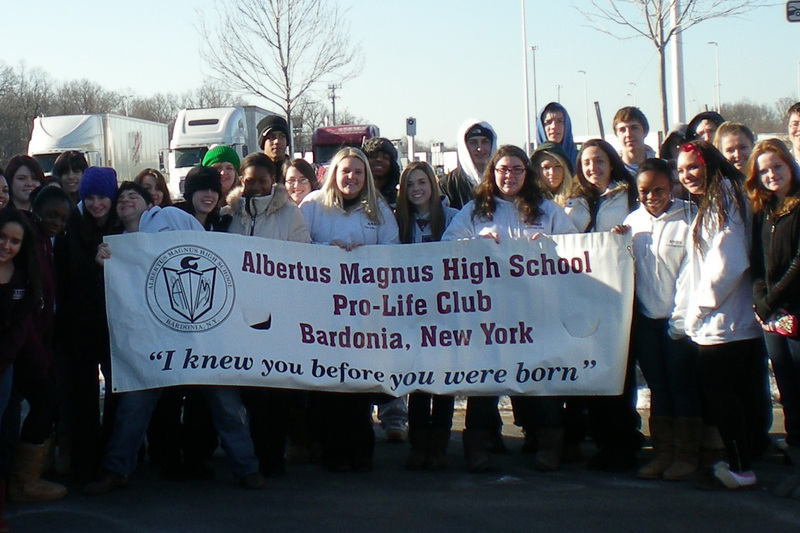 Albertus Magnus High School promotes the sanctity of life and the value of every human being from conception to natural death. Members of the Pro-Life club actively defend the “right to life” principle by participating in the annual Life Chain in October in Nanuet and the March for Life in Washington, D.C. in January. The Pro-Life Club is the largest organization in the school with about 100 members. Meetings are biweekly.